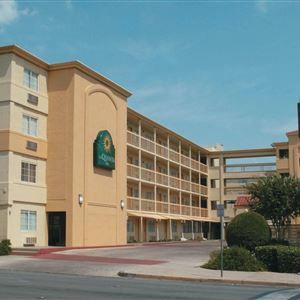 With a stay at La Quinta Inn Austin Capitol / Downtown, you'll be centrally located in Austin, steps from Capitol Visitors Center and St. Mary's Cathedral. This motel is within close proximity of Stevie Ray Vaughan Statue and Texas State Capitol. Make yourself at home in one of the 152 air-conditioned rooms featuring flat-screen televisions. Your room comes with a pillowtop bed. Complimentary wired and wireless Internet access keeps you connected, and digital programming provides entertainment. Private bathrooms with shower/tub combinations feature complimentary toiletries and hair dryers.